Flavius Valerius Severus Augustus was a Western Roman Emperor from 306 to 307. Severus was of humble birth, born in Northern Illyria around the middle of the third century AD. 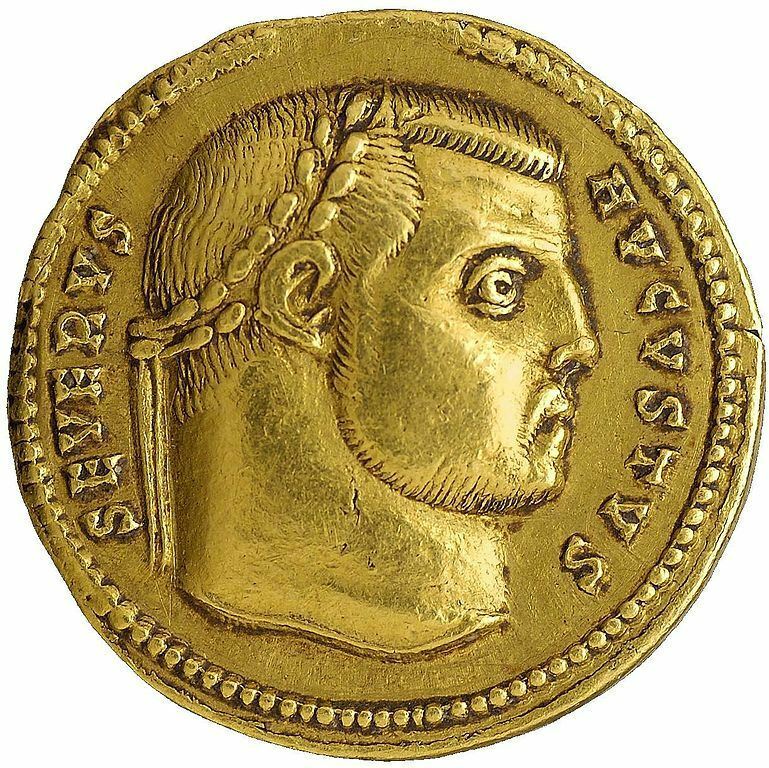 He rose to become a senior officer in the Roman army, and as an old friend of Galerius, that emperor ordered that Severus be appointed Caesar of the Western Roman Empire. On the death of Constantius I in Britain in the summer of 306, Severus was promoted to Augustus by Galerius, in opposition to the acclamation of Constantine I (Constantius' son) by his own soldiers. He fell victim to the many schemes and political maneuvers of the Tetrarchy, and after failing to besiege Rome, he fled to Ravenna. It is thought that he was killed there or executed near Rome.